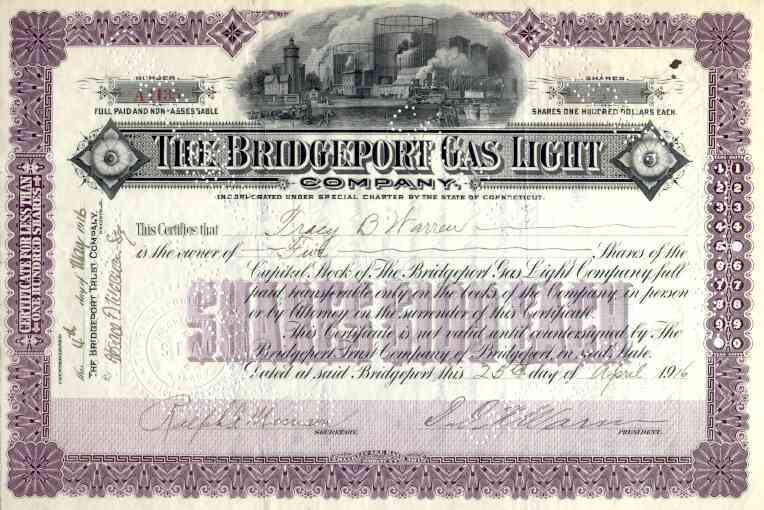 1916 Bridgeport Gas Light Stock Certificate. Attractive early Connecticut gas utility scripophily document with vignette of gas storage tanks and production facility. VF+ condition.